(a) Remove the 2 bolts and lower No. 1 exhaust pipe support bracket. 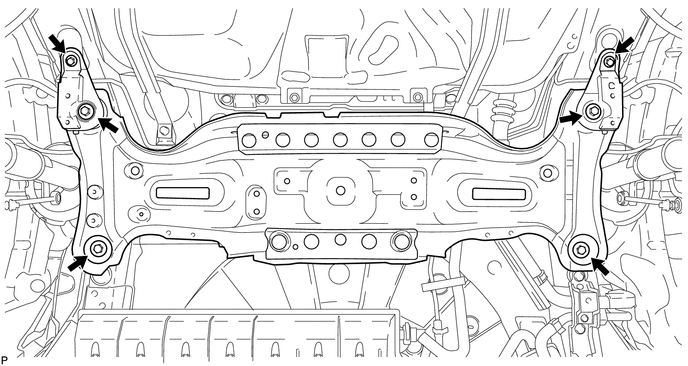 (b) Remove the 4 nuts, 2 bolts and 4 rear lower suspension member stoppers. 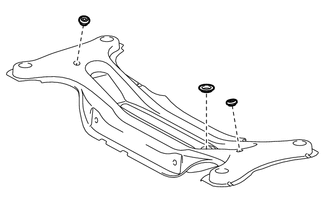 (c) Lower the suspension member and rear suspension member. 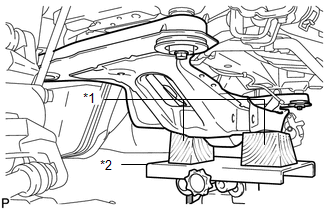 (a) Using SST and a press, remove the rear suspension member body mounting front cushion LH from the rear suspension member sub-assembly. 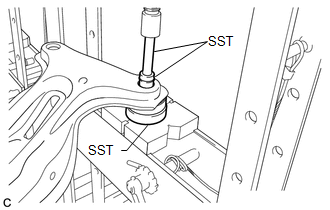 Install SST as shown in the illustration. To prevent the rear suspension member sub-assembly from falling after removing the rear suspension member body mounting front cushion LH, support the rear suspension member sub-assembly using your hands and body while pressing. 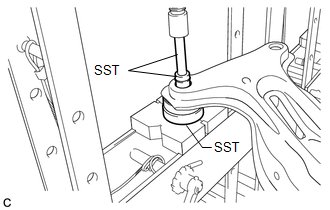 (a) Using SST and a press, remove the rear suspension member body mounting rear cushion from the rear suspension member sub-assembly. 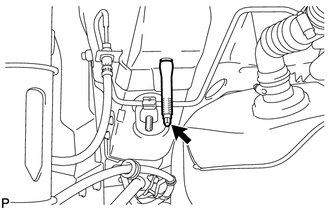 To prevent the rear suspension member sub-assembly from falling after removing the rear suspension member body mounting rear cushion, support the rear suspension member sub-assembly using your hands and body while pressing. 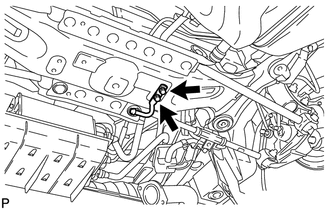 (a) Remove the 3 hole plugs from the rear suspension member sub-assembly.